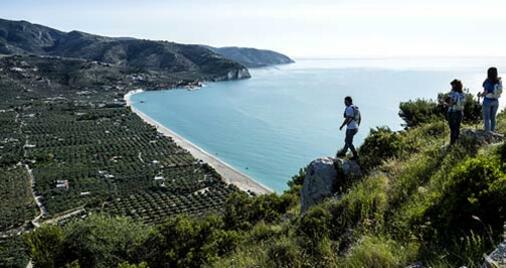 Gargano is an enchanting place, a unique holiday destination you will never forget. It gathers beautiful natural parks, unspoiled beaches, breath-taking scenery and cities of rare beauty. 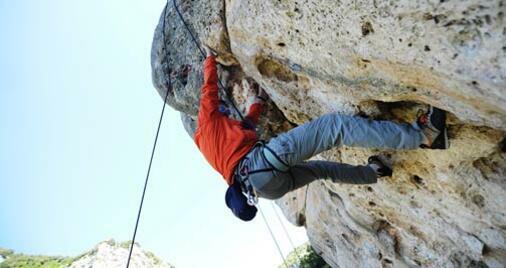 There are plenty of different activities you can do to explore the Gargano Peninsula: discover them all! 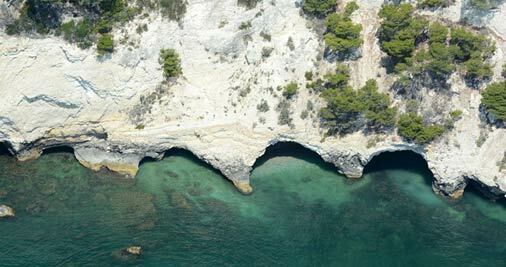 Residence Torre del Porto gives guests detailed information on the best excursions to discover the famous marine caves. Those interested in exploring the coastline on their own will have the possibility to hire a rubber dinghy directly at the harbour of Mattinata. Not to be missed is the ferry boat departing from Vieste, that leads to the beautiful Tremiti Islands. 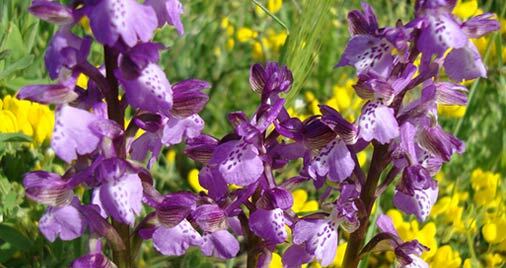 Explore an open-air botanical garden: every spring, from April to May, thousands of colourful orchids bloom in the National Park of Gargano. The Gargano Area is home to 88 different varieties of orchids, 60 of them bloom in the area around Mattinata. It is possible to admire them both through specific guided tours with expert botanists and on your own, taking advantage of the informative material available at the reception desk. The National Park of Gargano gives tourists the possibility to explore its amazing scenery through two brand new tours, Gargano Running and Trekking Park, which gather a network of over 160 km of footpaths of rare beauty. It is possible to reach the hinterland from the coast, passing through the heart of the park, that is to say the famous Foresta Umbra. Climbing lovers in Mattinata will have the possibility to take advantage of a wonderful climbing wall of hard stone overlooking the sea. This facility, realized with the help of the Alpine guides of Madonna di Campiglio, offers 17 paths, which are suitable for both beginners and expert climbers. 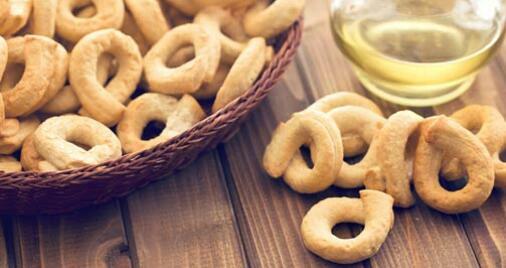 The Gargano Area cherishes important food and wine traditions. Among the most famous local staples and typical dishes: the bread from Monte Sant’Angelo, the broad beans from Carpino, the “paposcia” from Vico del Gargano, the eel from Lesina, the citrus fruit from Rodi Garganico and the fish soup from Mattinata, Peschici and Vieste. Do not miss the opportunity to discover these authentic flavours and tastes. The Gargano Area is a famous pilgrimage site. Every year, its places of worship attract thousands of tourists. 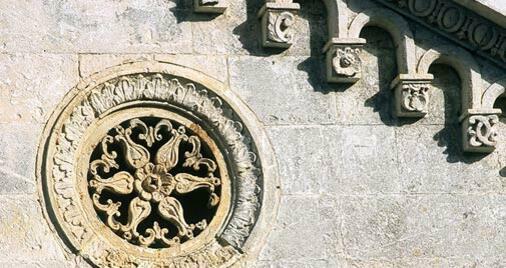 Among these: Pulsano Abbey, the Cave of San Michele in Monte Sant’Angelo, UNESCO World Heritage Site, San Giovanni Rotondo with the Sanctuary of Saint Pio of Pietrelcina designed by Renzo Piano, and the ancient Benedictine Abbey of Monte Sacro in Mattinata. "Våra höga förväntningar överträffade! "